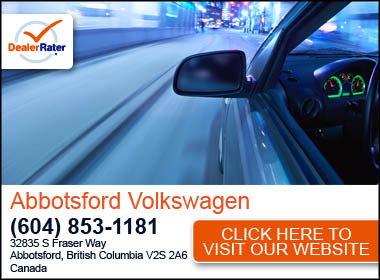 Abbotsford Volkswagen, located at 32835 South Frazer Way in ABBOTSFORD, BC, belongs to the AutoCanada family of dealerships. AutoCanada is one of Canada’s largest multi-location automobile dealership groups, currently operating 48 franchised dealerships, comprised of 56 franchises, in eight provinces and has over 3,400 employees. AutoCanada currently sells Chrysler, Dodge, Jeep, Ram, FIAT, Chevrolet, GMC, Buick, Cadillac, Infiniti, Nissan, Hyundai, Subaru, Mitsubishi, Audi, Volkswagen, Kia, BMW and MINI branded vehicles. In 2014, our dealerships sold approximately 57,000 vehicles and processed approximately 786,000 service and collision repair orders in our 822 service bays during that time. "Don’t go anywhere else "
We have dealt with Mel a bunch of times prior, this time we went other places and just never found what we were looking for. Decided to call Mel again and will never look around again. They got the car I wanted, at the monthly payment I needed. Rob was also amazing, he worked the numbers and was nothing but accommodating to us and our children. He decided to buy them dinner! Was just an unreal experience. Richard was very knowledgeable and great to work with, again nothing but accommodating and professional. Love my Passat, Love the VW Abbotsford team. The staff was amazing. They were helpful and communicative. They were positive and helped us pick the car that best fit us. The vehicle is great and runs smooth. "Great salesman who truly served me well"
Ian was the best salesman I’ve ever encountered, and I’m old enough to have bought quite a few cars. He took the time to listen to my needs and concerns, then he suggested a few options that would meet my criteria. He was patient when I was undecided, and understanding when I changed my mind. We did find a car for me that I love, and I would not hesitate to recommend Ian to everyone who is looking for a new vehicle. I never felt like a number with Ian and always felt like he cared that I found the right car for me. Manny is legendary. He helped me get into a car I was really happy with. His positivity was unwavering as I spent most of the day test driving a bunch of cars until we found the right one. "Quick & easy buying experience "
Manny was great from the start to end, made it quick easy to purchase my new vehicle. 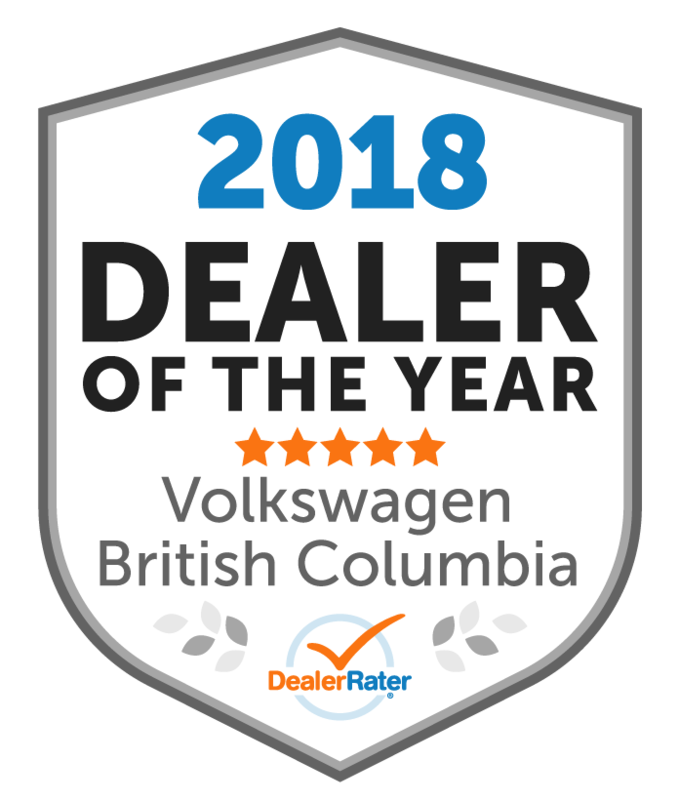 i would highly recommend buying from manny and VW Abbotsford for any type of vehicle. 2nd purchase of a Jetta through Abby VW, (3rd Jetta owned) I would not hesitate to go back again! Josh is a great sales guy and always willing to spend time answering questions etc. The business and finance teams worked with us for the pricing and approvals needed. I was able to drive new car home same day. Will definitely recommend these guys to anyone looking to get into a VW. 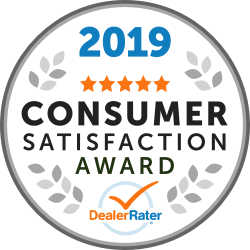 Ilya took the time to explain and show me every little detail in the car and was incredible helpful and knowledgeable throughout the whole process of buying my new vehicle! 10/10 would recommend paying him and the rest of the staff a visit at Abbotsford Volkswagen! "No pressure and actually listened to what I wanted"
I had a great experience here. Richard listened to exactly what I was looking for in a used vehicle and didn't show me anything outside of that. Also, I had my husband with me while looking for this vehicle and they were really good at addressing me rather than my husband which doesn't always happen. They also helped make this deal work for me the best they could. Great customer service, very happy! "Very satisfied with service and knowledge "
My experience is very good and was satisfied with professional advice and knowledge. My Toureg was very clean, filled with Gas and salesman explained properly about all the features.